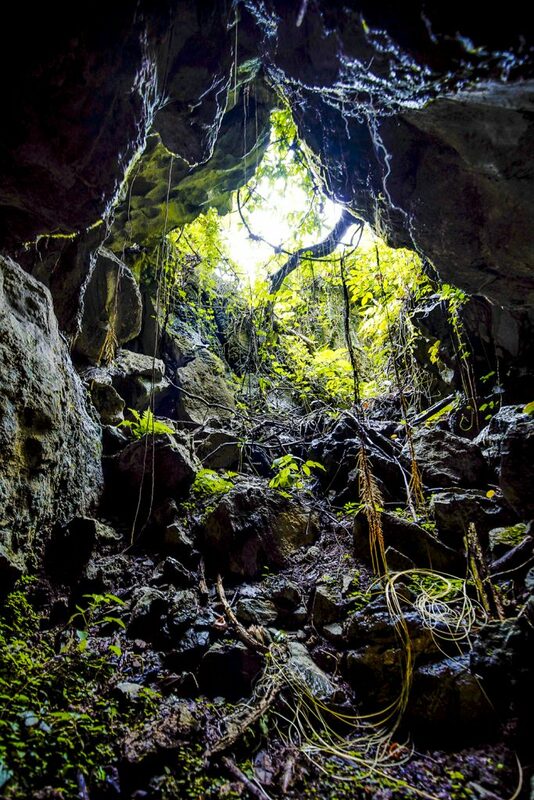 Introduction The Van Kieu minority people in Ngan Thuy village named the cave “General Cave or Mr. Giap cave” because they remember that during 1971 – 1973 General Vo Nguyen Giap onced lived and used the area when he’s leading and commanding the Southern troops. 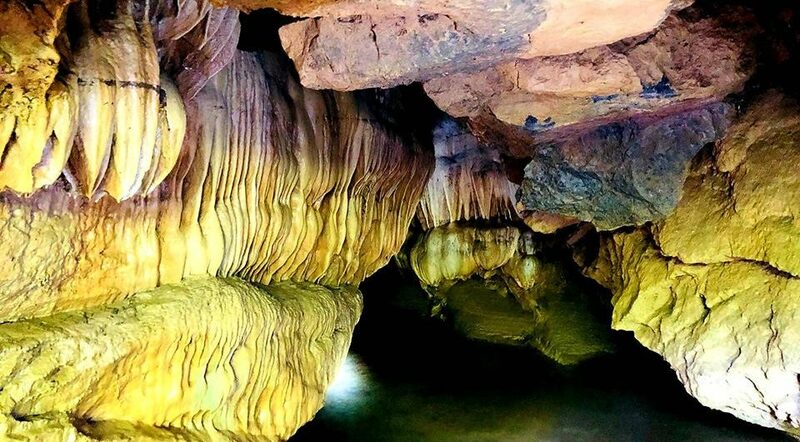 With the massive caves system together with the scenic natural landscape of two districts of Le Thuy and Quang Ninh, together with the beautiful valleys, long filtered water streams and caves will remind everyone that it been part of historical sites in Quang Binh that should everyone must know and visit. This historical site is located 40kms from south eastern of Dong Hoi. Highlights of the program Experience the life of Bru Van Kieu – the ethnic minority group in Quang Binh. Disolving in to the majestic nature where huge tree’s and cool nature are harmozied and seperated from the crowded city. Special attractions include the Water Cave - the General Cave - where the military commanders gathered to serve for the southern battlefield in the years 1971 - 1973. Enjoy and experience vietnamese dishes. ITINERARY 07h45: Netin travel, guide and driver will pick you up in your designated hotel, it either in Dong Hoi or in Phong Nha. 08h30: Proceed to Khe Sung Village of Ngan Thuy Commune. 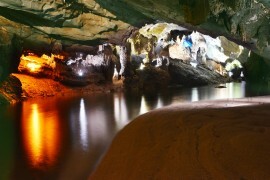 It is located 40 km from the South of Dong Hoi, Quang Binh. 09h30: Visitor to Ngan Thuy Commune, visiting the General Information Station A72, visiting Water cave, then Cha Loi cavenand Cay Sung Village. At here, visitor will be observed the cave systems and the place of our soldier during the time 1971- 1973. 12h00: Lunch, will experience delicious vietnamese dishes at Cay Sung village. 14:00: – Will visit Coi village, enjoy around at Coi Valley and can experience the stream clean filtered cold water. The Van Kieu minority people in Ngan Thuy village named the cave “General Cave or Mr. Giap cave” because they remember that during 1971 – 1973 General Vo Nguyen Giap onced lived and used the area when he’s leading and commanding the Southern troops. 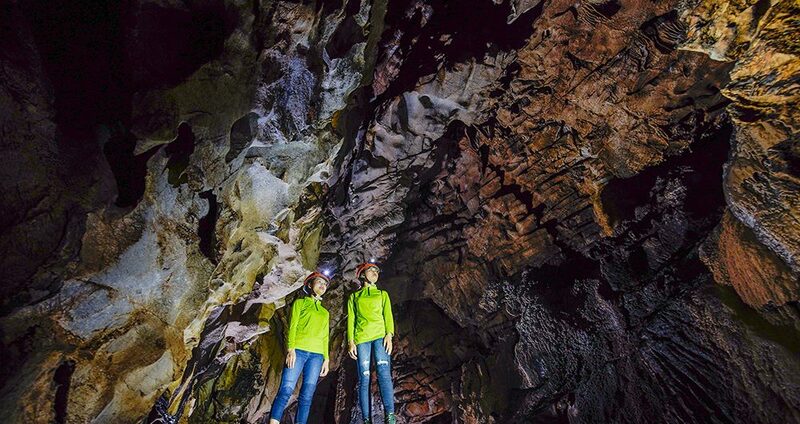 With the massive caves system together with the scenic natural landscape of two districts of Le Thuy and Quang Ninh, together with the beautiful valleys, long filtered water streams and caves will remind everyone that it been part of historical sites in Quang Binh that should everyone must know and visit. This historical site is located 40kms from south eastern of Dong Hoi. Experience the life of Bru Van Kieu – the ethnic minority group in Quang Binh. Disolving in to the majestic nature where huge tree’s and cool nature are harmozied and seperated from the crowded city. Special attractions include the Water Cave – the General Cave – where the military commanders gathered to serve for the southern battlefield in the years 1971 – 1973. Enjoy and experience vietnamese dishes. 07h45: Netin travel, guide and driver will pick you up in your designated hotel, it either in Dong Hoi or in Phong Nha. 08h30: Proceed to Khe Sung Village of Ngan Thuy Commune. It is located 40 km from the South of Dong Hoi, Quang Binh. 09h30: Visitor to Ngan Thuy Commune, visiting the General Information Station A72, visiting Water cave, then Cha Loi cavenand Cay Sung Village. At here, visitor will be observed the cave systems and the place of our soldier during the time 1971- 1973. 12h00: Lunch, will experience delicious vietnamese dishes at Cay Sung village. 14:00: – Will visit Coi village, enjoy around at Coi Valley and can experience the stream clean filtered cold water. 16h00: Visitor will proceed to the car park. 17h30: – End of the tour. Enthusiastic and experienced trail/tour guide. First aid kits and rescue equipment. 1 set of long dry-fit clothing, suitable for the trip. 2 set long and thick socks. Plastics bags, sun-cream, cap, camera, underwear, extra clothes. Tour Operates: 7 days a week. End: 17:30 PM at Phong Nha or Dong Hoi city. On November 6, 2018, Quang Binh People’s Committee granted Netin Travel Limited Company to experimentally exploit the tourist route to explore nature and explore the culture of Van Kieu people in the Le Thuy district and Quang Ninh district. 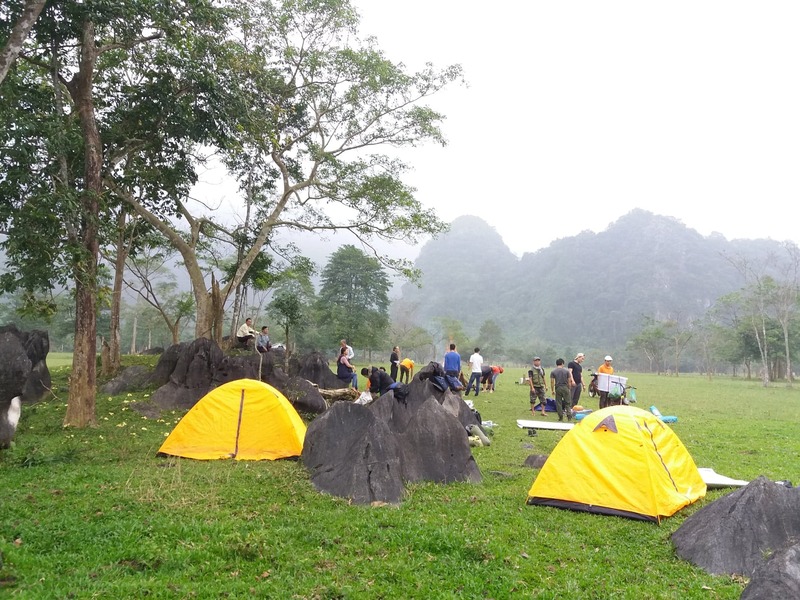 The tourism product is an experience of visiting the cave system / 543 associated with General Vo Nguyen Giap and the victories of the anti-American era. 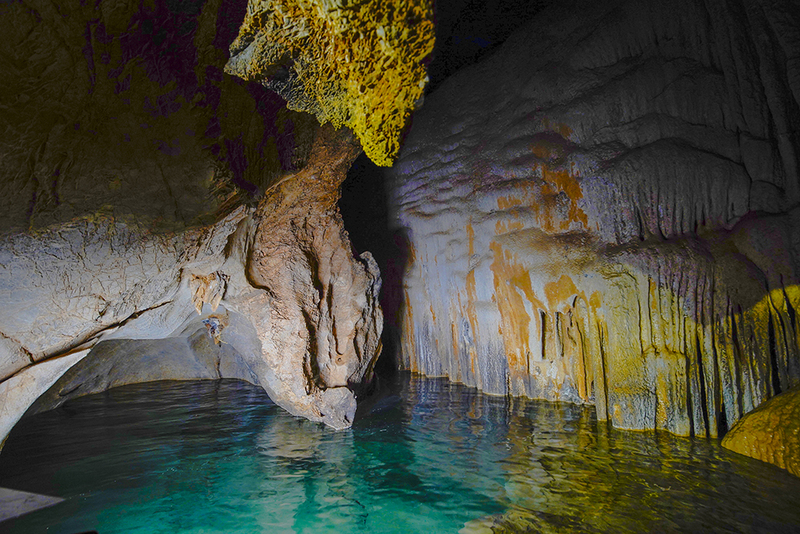 The caves that are both beautiful about stalactites have historical significance. The landscape is extremely spectacular with the pristine stilt houses of the people along with the beautiful stream system. This is a meaningful tourism product for tourists coming to Quang Binh tourism. 14:00: Will visit Coi village, enjoy around at Coi Valley and can experience the stream clean filtered cold water. 08h00: Car & HDV NETIN TRAVEL pick you up at the meeting place. You depart by car to the village of Khe Sung village in Ngan Thuy commune, start taking part in the journey of conquering the grandeur of nature. On the way, you stop offering incense, visit at Truong Son martyr temple Long Dai ferry. 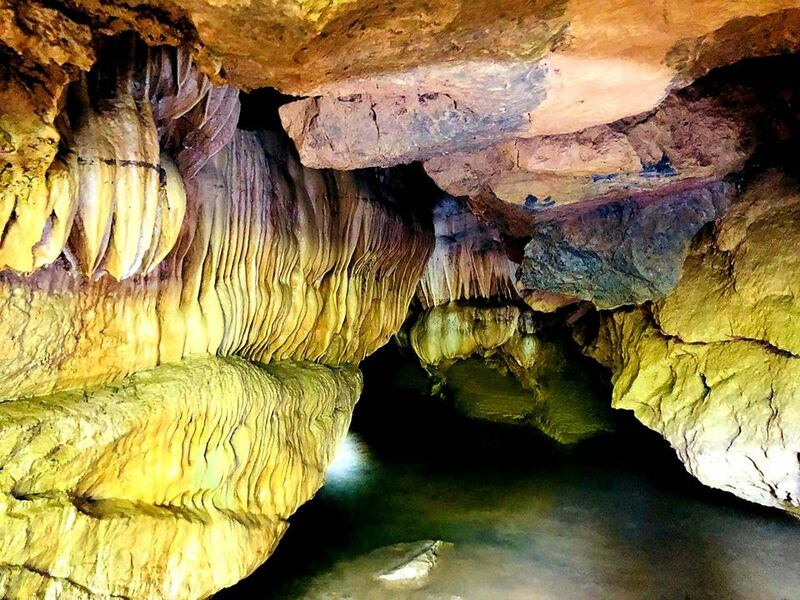 09h30: Arrive, you come to Ngan Thuy commune, take a look at the information stationo A72, discover the beauty of Ong Giap Cave – Water cave with a length of 70m with the magnificent and magnificent stalactites. This is a cave that according to the local people where General Vo Nguyen Giap arrived in 1971-1973 to command the Southern campaign. It is also the residence and activity of the soldiers of the war period. It is called Ong Giap by local people. 12:30: Have a lunch, enjoy the cuisine of Van Kieu ethnic people processing, having lunch, chatting with people here. drink, exchange and sing with each other, and tell each other stories of life. The night ended with the flickering fire, you returned to the camp, overnight. 07h00: Wake up, enjoy a cup of hot tea, coffee and a simple breakfast with your companions after an interesting evening. 08h30: Cleaning the union then depart for sightseeing and experience at Tien Lake with small lakes in the mountains with unique beauty, we never feel nature has such attraction. You save the pictures here. 17:30: End the program to visit the nature exploration tour and learn Van Kieu community culture. The car will take you back to the starting point. Ending the program – See you again! 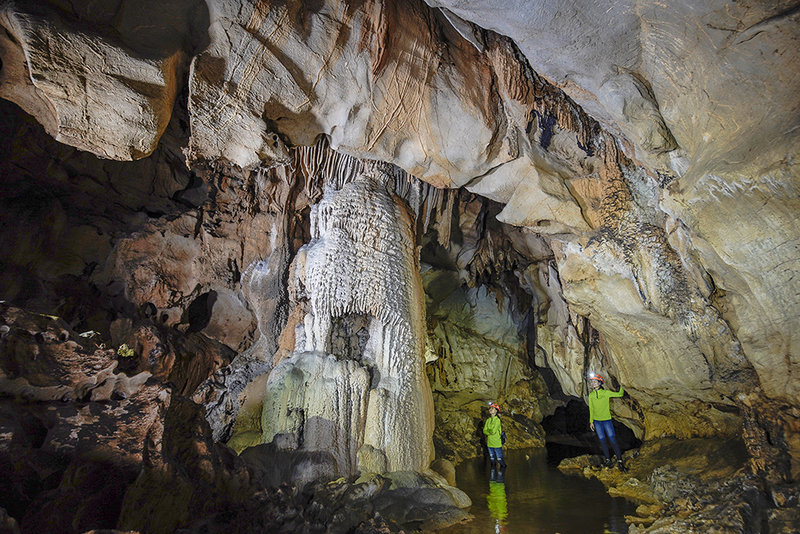 This is an attractive tourism product of Quang Binh tourism in 2019. Quang Binh is one of the most prominent and attractive tourist spots in Vietnam. 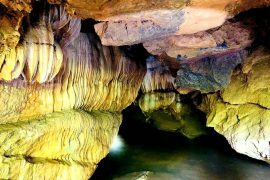 On this land, there are many beautiful caves in the Phong Nha Ke Bang national park with familiar names such as: Phong Nha cave, Paradise cave, Son Doong cave, Tien cave … Therefore, when talking about Mr Giap cave many people are quite surprised about the name that is both strange and familiar. Strange because when the time comes, the tourists still don’t know about this cave. Familiar because the name of the great general of the Vietnamese nation. 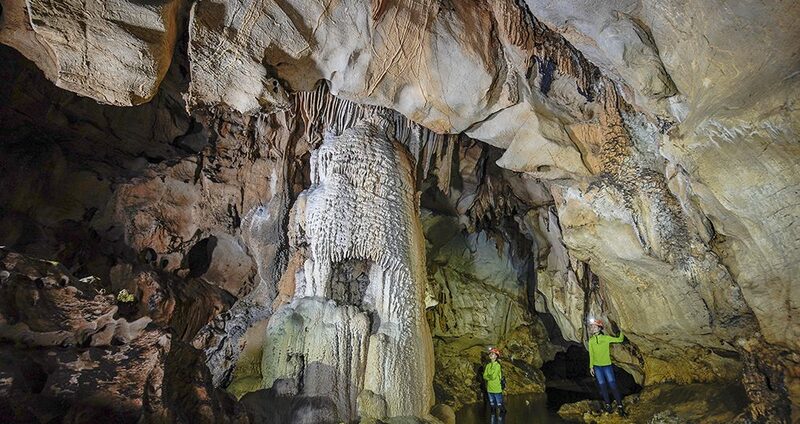 Mr Giap cave is bordered by the General Cave in the tour to explore nature and explore the community culture of the ethnic minority people in the district of Le Thuy and Quang Ninh. The ethnic minority people of koi are very proud of their villages because according to the ethnic people here, the general came and entered this cave in the years 1971-1973. About 40km from Dong Hoi city center, along the legendary Ho Chi Minh trail, we will go to the Ngan Thuy commune, Le Thuy district town of Quang Binh province. We will stop to rest for a few minutes after a long time sitting on a tired car and right now we can see more clearly the life of the ethnic Van- Kieu people here very truthful. Along the two sides of the small road full of grass are cassava beds that people grow to eat, there are banana gardens with big trees and different small trees. There are trees with long banana chambers and excellent banana flowers. With a walking distance of 800m from the parking lot to the entrance of the cave, we can climb the 200m mountain range to go to the road and the road is very easy to climb like a stairway to the house. People will be very surprised by the beautiful beauty with some wildness that nature has bestowed on this place when we come to the entrance of the cave. Right before our eyes will be stalactites and a large stage, in addition to a clear blue lake like a jade green. 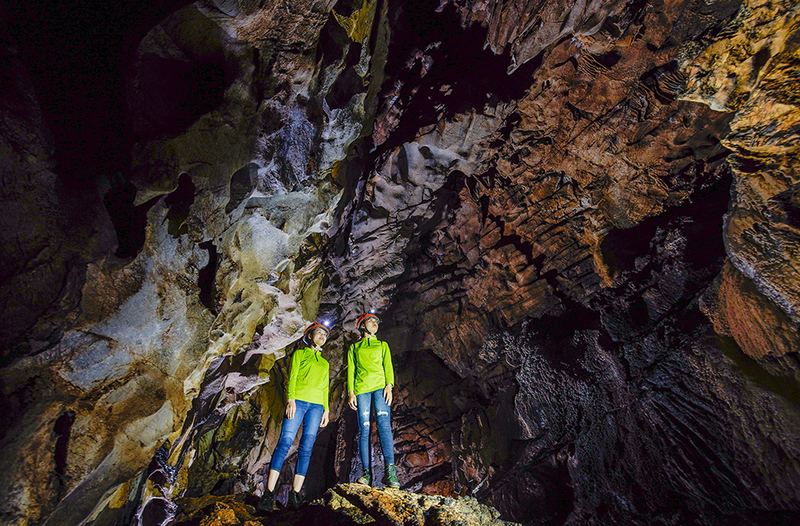 Going deep into the cave of space is opened with layers of overlapping stones creating a very adventurous feeling. Not only that you will be visiting the kingdom of the bat. This will be an interesting and exciting experience tour in the future. Please come and experience with us NETIN TRAVEL.